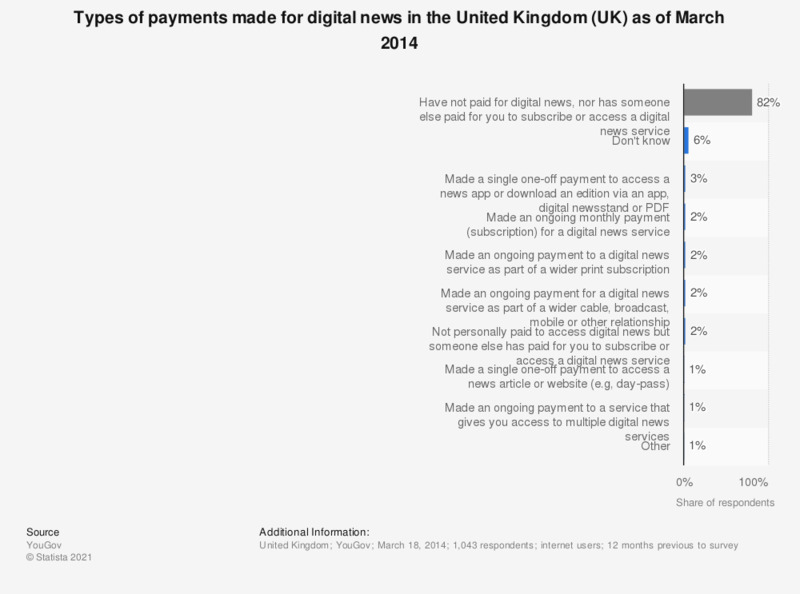 This statistic displays what types of payments internet users had made for digital news in the United Kingdom as of March 2014. Of respondents, 82 percent had not paid for digital news in the 12 months previous to survey. Includes entertainment, international, national, regional/local news and other topical events accessed online via a website or an app on any electronic device.